Smart technology will be transforming neighborhoods everywhere. The rise of 5G will do more than just influence movies, phones and cars. Small towns in America just may become technology absorbed as 5G becomes the norm in our homes. High-bandwidth homes sounds pretty good. Being able to lock and unlock doors, cut on and cut of lights and running an array of household products from a smart device seems like the best. This 5G wave has the potential to digitally transform our homes. This 5G integration into our homes seems like the gateway to billions of dollars for tech companies. However, there are a few tech companies and hardware makers that are not just ready to jump on this budding trend of mass-producing homes with smart technology. This technology is next generation. A long path is ahead of tech companies to be able to create products, devices and technology that allow 5G to work seamlessly. Many tech companies are very interested in making this dream a possibility and that is because the 5G boost can offer security monitoring and smart home devices work easier. 5G technology makes big promises to homeowners. A more responsive network and laying the groundwork to other smart technology enabled products and devices is what drives tech leaders to continue to develop this technology. However, they do know this journey will not be easy. Smart homes will become a part of the revolution that includes streaming virtual, self-driving cars and augmented reality. These are all new aspects of smart technology. These are all still in their infancy and are budding just barely. AT&T will be launching a 5G network. Other carriers will start putting out their 5G networks in 2019. Bu 2020, 5G will be the new normal. 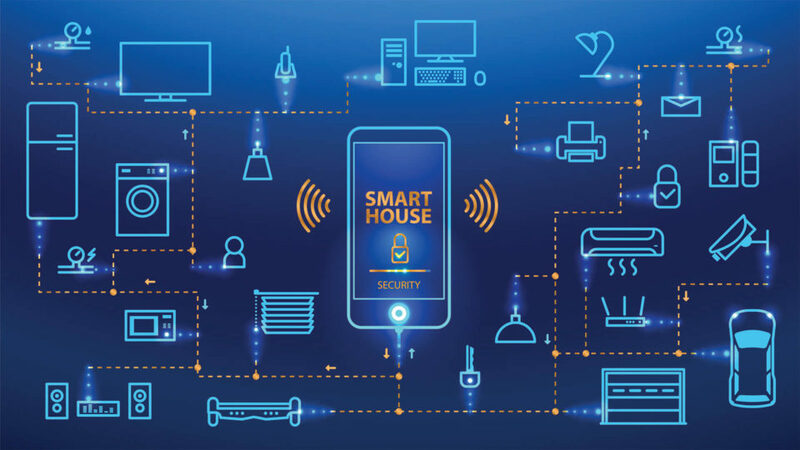 Even if you are not the type of person that craves technology it would be helpful to have a smart technology in your home when it comes down to home security. Very low latency is what 5G technology offers to home security devices and connectivity won’t be an issue. For example, it streamlines the process of knowing when someone is at your front door. Visit here and it won’t be a surprise when you are able to see who is at your door without opening the door or looking through a window. If you happen to be more into technology, regular household items are getting a boost into high tech products. You’re regular vacuum cleaner can be a robot vacuum cleaner that does all the work for you by vacuuming your floors and carpet. There is even room temperature devices that sets the room to a perfect temperature for you without having to do it yourself. Just imagine waking in the winter to a cozy, warm room. With a smart facet, you will be able to impact the environment by cutting back on water consumption. Smart technology has caused companies to create devices that keep up with your health. These devices help with weight management, diet planning and bodily functions.